Running in Hanoi, Vietnam. 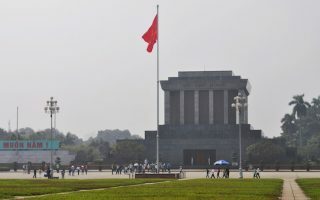 Best routes and places to run in Hanoi. Hanoi is the capital of Vietnam and the country’s second largest city, with a population of some 7 million. Hanoi is an interesting mix, given its history: the maze-like, narrow streets of the Old City; the imposing Ba Dinh Square; and the wide boulevards of the city’s south section, built by the French. The heart of the city is on the right bank of the Red River, west to the CT 20 road. Like many other busy and fast-growing cities in Asia, there’s a lot of traffic and pollution, with motorbikes seemingly everywhere. But running in Hanoi is better than in Ho Chi Minh City, owing to several centrally located lakes and parks. One frustration is that it’s hard to string together a longer run, since the roads connecting the numerous parks aren’t that pleasant for running. 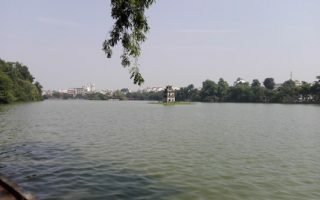 While Hoàn Kiếm Lake is probably the most popular running spot in Hanoi, the best place for a longer run is the ~15 km perimeter path around West Lake. We’ve put together an interesting ‘runseeing’ tour incorporating the Ho Chi Minh Mausoleum and nearby Botanical Gardens. Union Park, Indira Ghandi Park, and Giang Vo Lake are other good spots for running. A big thanks to Pekka Myllyla for his help with this guide! Note that Hanoi’s main streets can be very busy and the air is not great. Also, the heat and humidity in summer can be brutal, with lots of rain. But there’s more of a four season climate than in southern Vietnam. 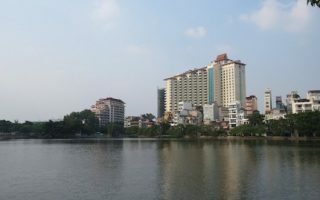 The largest of Hanoi's numerous lakes and one of the best spots in the city for a longer run. Palm-lined boulevards hug the shoreline, making for a ~15 km loop. Located in the Tây Hồ District, a wealthier section of the city, and site of Trấn Quốc Pagoda. One of the most popular spots to run in Hanoi. It's a 1 mile loop along a dedicated path, with a Temple on an island. For more, create your own run along the narrow streets of the Old Quarter, and/or run over to and across the Long Biên Bridge. 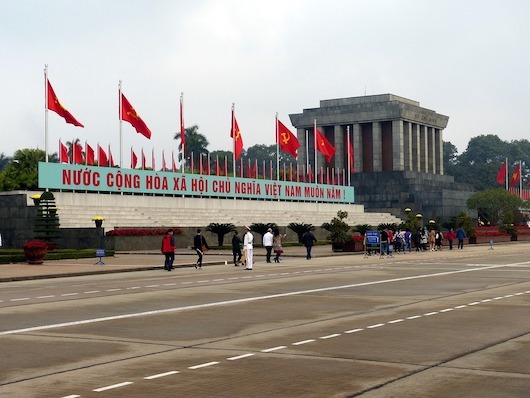 A 5 mile run around some of the more important historical sites of Hanoi, highlighting the Ho Chi Minh Mausoleum and Tomb, Botanical Gardens, Presidential Palace, numerous museums, parks, and government buildings. 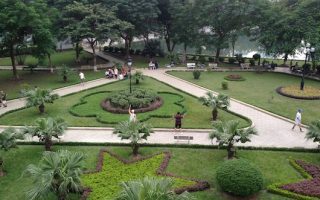 Union Park (Công viên Thống Nhất) is one of our favorite spots for running in Hanoi. There are fitness paths, mature trees, and a lake. One can put together 5-6 km around the park and two other adjoining lakes. Spring Palace is 1.5 km to the east. A pleasant open space in the center of Hanoi, and a good spot for an off-road run. There are two adjoining lakes where one can put together a pleasant 4 km loop on dedicated walking paths. 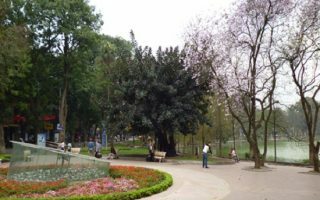 Union Park is 2 km to the east. Hanoi has more of a four season climate than cities in South Vietnam. Winters are the best season for running, as it’s drier and temperatures are generally pleasant and mild (15-20C). It can be quite overcast in the winter months. May through September are hot (33C by day, 26C by night), humid, and very rainy. Although hotels are fairly well spread through the city, the more upscale areas with the best hotels near good running spots are around West Lake, and the Hoàn Kiếm area. Running is starting to become more popular in Hanoi. There are outlets of several shoe companies, notably Adidas and Converse. Mr. Candy Shop and Chuẩn Đét Store are among the independent running shops in Hanoi. Red River Runners Hanoi. Active running group in the city. Garmin Run Hanoi. March. Popular 10k run & more.